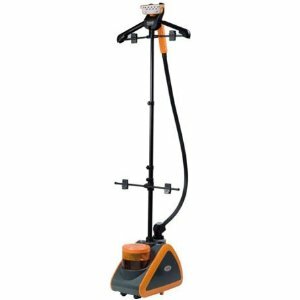 The Garment Steamer comes with a convenient built in garment hanger, adjustable clips and locking horizontal bar. Steam reaches 212 Degrees Fahrenheit for steam that smooths out wrinkles and quickly sanitizes all your garments. Clothes Steamers can be used on other household items like furniture, sheets, stuffed animals, and the list goes on. Clean and sanitize your house with the Professional Garment Steamer!